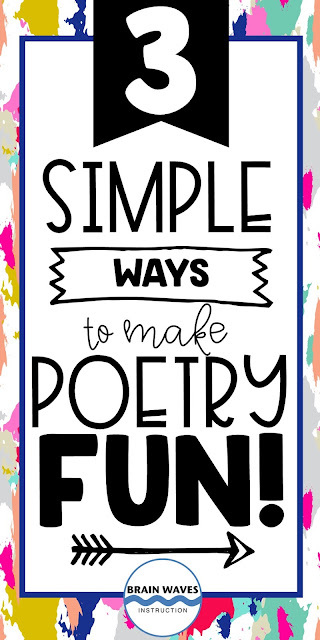 3 Easy Ways to Make Poetry More Fun! Why does poetry have such a bad rap? In my experience, every time that I would mention poetry to students, their response was always a deafening protest. 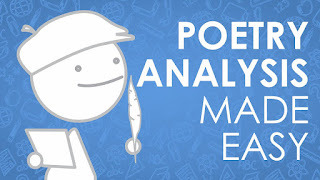 Every year, it makes me wonder: why are students so averse to learning how to read, analyze and write poetry? CREATE A POETRY CULTURE: One simple way to make poetry less intimidating is to make poetry a normal part of your classroom. 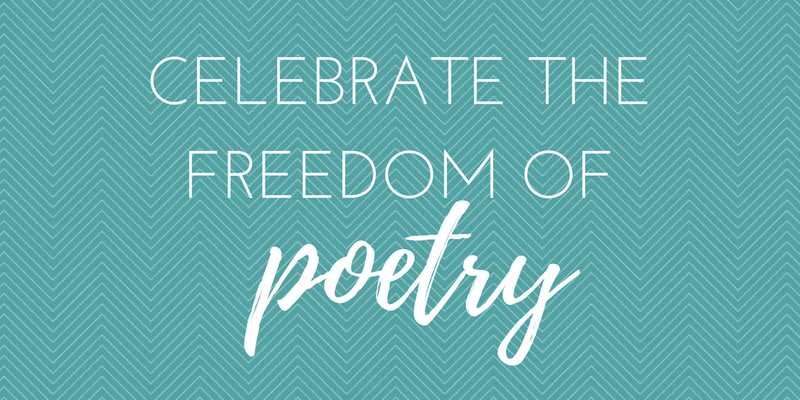 Expose students to poetry all year long, not just during a poetry unit. 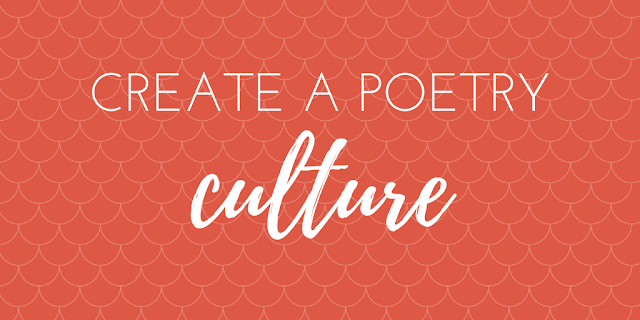 You can do this by reading poems out loud to students throughout the school year, displaying poems as part of morning work, copying fun poems and hanging them on students' lockers or desks, or creating a collection of poems that students can read once a week during the school year. 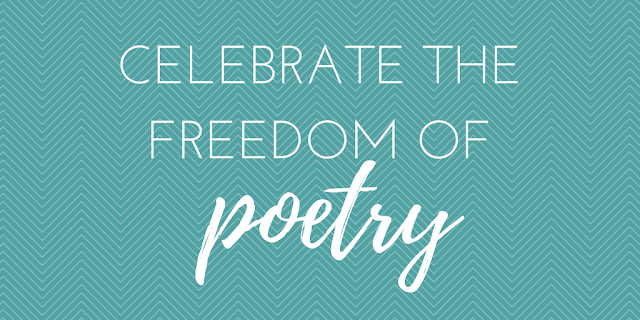 CELEBRATE THE FREEDOM OF POETRY: One of the coolest parts about poetry is that there are NO RULES! Poets have absolute freedom to write about whatever they want, however they want. No grammar rules. No rules about form or structure. No mechanics rules. And if you like, no spelling rules! Students love this! It's their chance to rebel against conventions. 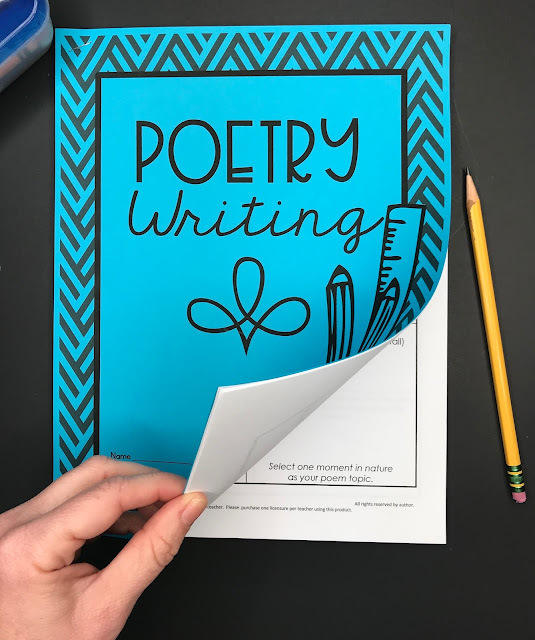 During a poetry writing unit, I love to take this idea a bit further and encourage students to be unconventional with WHERE they write their poems, too. That means that they might write their haiku poem on a rock, or a cinquain on a basketball, or a free verse poem on the bottom of an old sneaker. It's so much fun to revel in the freedom of poetry! 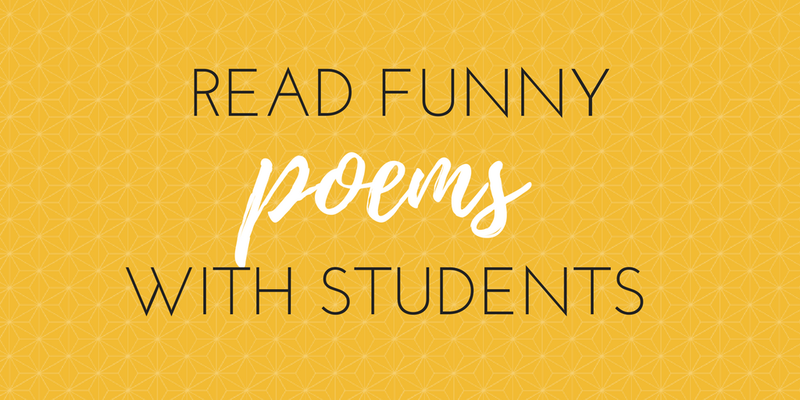 READ FUNNY POEMS WITH STUDENTS: Help students find joy in poetry by reading funny poems to students...or challenge students to find a funny poem to read to the class. Laughter and silliness are the perfect way to get students excited about reading and writing poems. There you have it...3 really simple ways to make poetry more fun. Be sure to sign up for FREE poetry lessons (including a listing of the poems above)! I hope you'll add a little more poetry to your classroom! P.S. Here are some of my favorite poetry units to teach!